Bermondsey is a hotspot for new restaurants at the moment but none of them can hope to better this wonderful Italian. 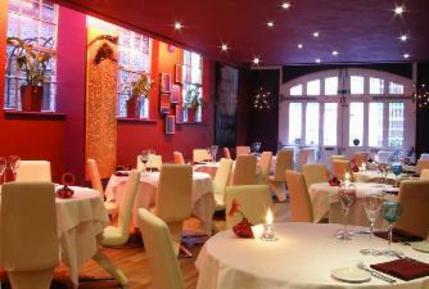 It’s a good place to go for a date, with a stylish, seductive interior and wonderful, discreet service. The bill won’t kill your passion either, with a delicious sampling menu a good option at £35. The dishes are mainly Italian classics with a distinctive twist like pumpkin-filled tortellini and chickpea gnocchi. The wine list is impressive and fairly priced and the desserts are exquisite. Tentazione promises a beguiling, memorable evening. Tentazioni gyms, sporting activities, health & beauty and fitness. The best pubs near London Tentazioni. Tentazioni clubs, bars, cabaret nights, casinos and interesting nightlife. Where to have your meeting, conference, exhibition, private dining or training course near Tentazioni. From cheap budget accommodation to luxury 5 star hotels see our discounts for Tentazioni hotels, including Cheval Three Quays Apartments from 83% off.